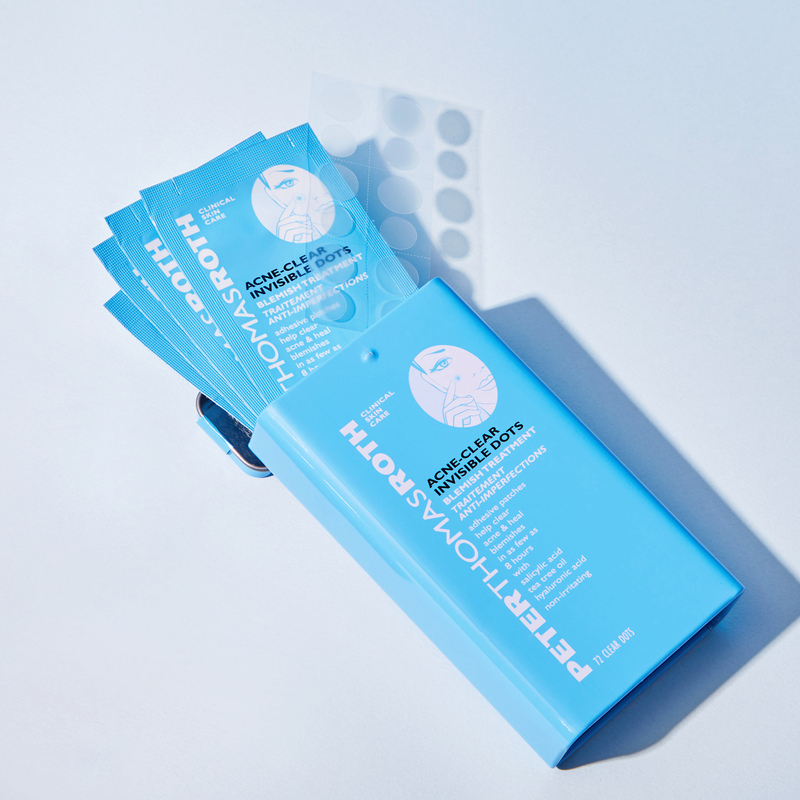 Innovative, clear acne patches help to eliminate acne as they contain the affected area. 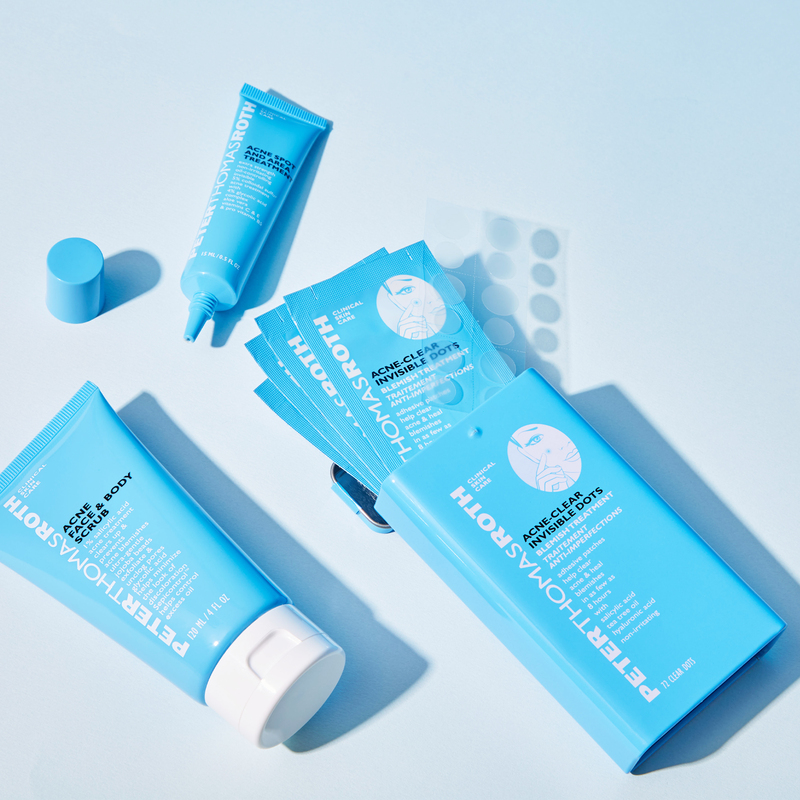 Two custom sizes allow for complete coverage as concentrated 0.5% Salicylic Acid works overnight and throughout the day to effectively reduce and heal acne and blackheads. 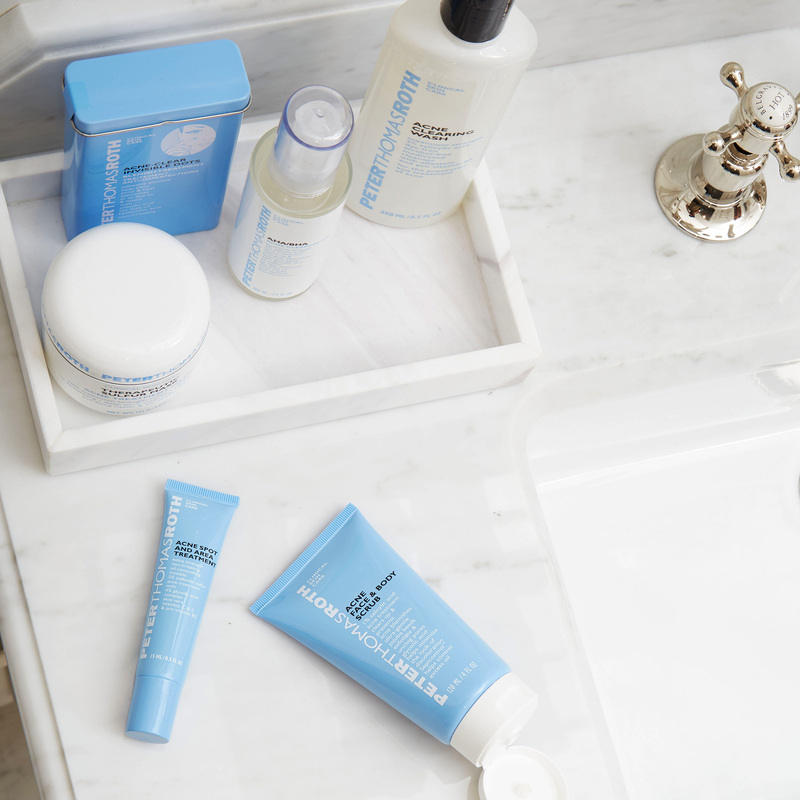 With Tea Tree Oil, a powerful botanical that helps refresh skin, and Hyaluronic Acid, a natural humectant that helps prevent drying by attracting and retaining up to 1,000 times its weight in water from moisture in the air. 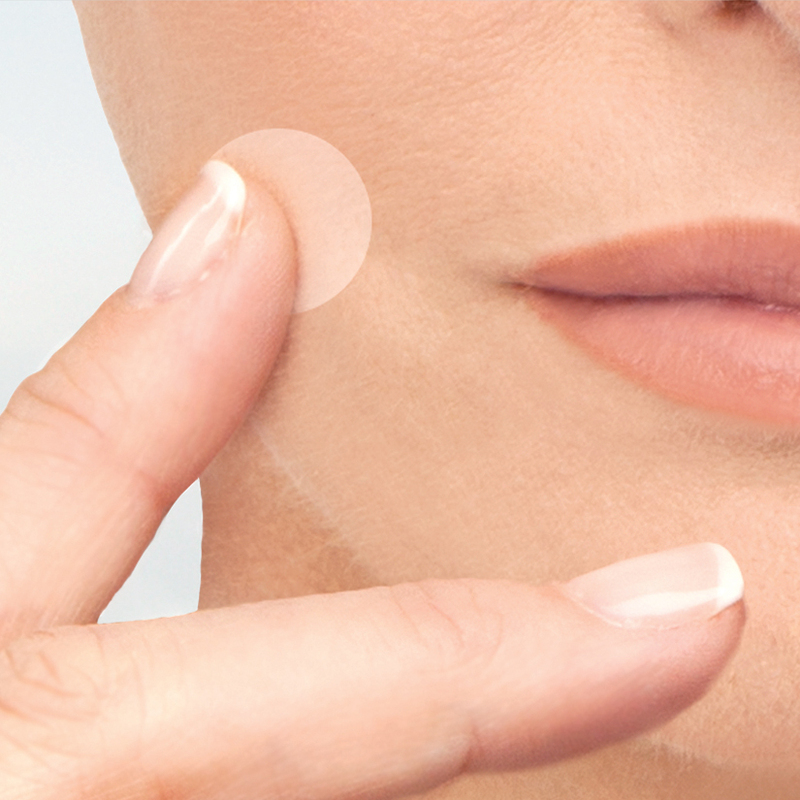 Each adhesive patch is a fully contained treatment to penetrate pores and clear up acne. 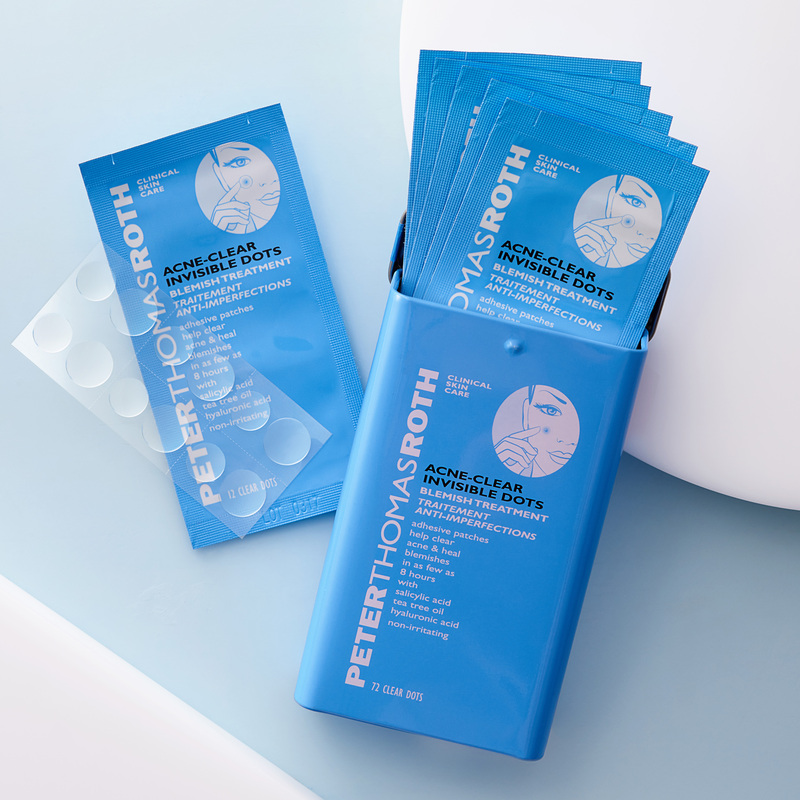 Because treatment is contained to the affected area only, product will not rub off or cause unnecessary irritation or dryness to surrounding skin. 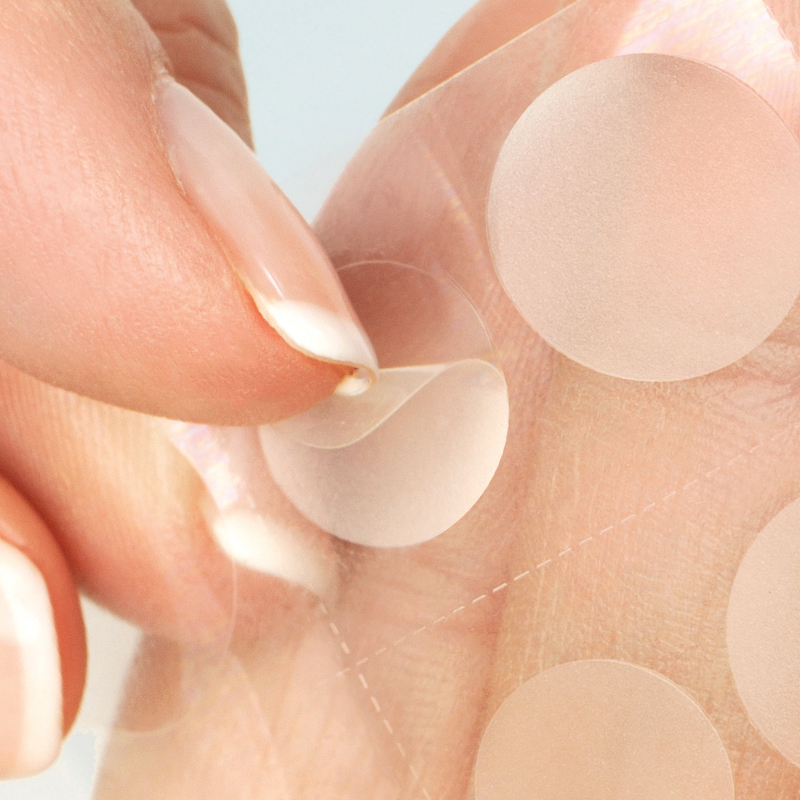 In six sheets of 12, Acne-Clear Invisible Dots are translucent, minimizing visibility when worn. Contains six sheets of 12 dots.